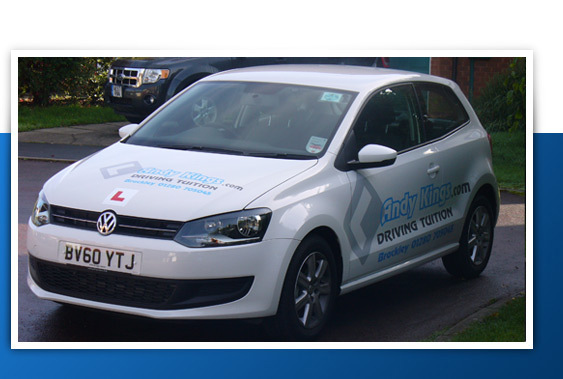 Pass Plus Lessons by Andy Kings Driving Tuition, Brackley, Buckingham, Towester and many of the surrounding villages; Middleton Cheney, Greatworth, Helmdon, Syresham, Silverstone, Dadford, Westbury, Mixbury, Evenley, Croughton, Kings Sutton, Farthinghoe, Halse, Sulgrave. Pass Plus involves further training (minimum 6 hours) after passing your driving test. This will take place on a wider variety of roads (including motorways) and is designed to enhance the skills you have learnt in your lessons. There is no test to take, it is carried out on the basis of continuous assessment by the instructor. Drivers who have completed Pass Plus have a lower accident rate and therefore most major insurers will offer you a substantial discount on your first years policy when you have done the course. £2 discount per lesson if you pre pay for a block of 10 hours.